The Cardo Freecom 4 is an advanced bike-to-bike communication system. 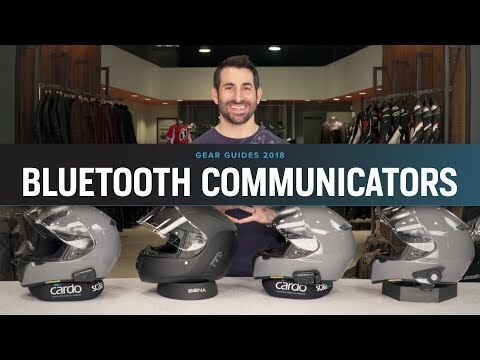 With the intuitive Smartset app, you can control your Cardo Freecom communicator from your iPhone or Android with some of the most seamless phone integration functionality the moto-world has seen in a Bluetooth headset. Note: Pictured phone and handlebar mount sold separately. Includes a single charging cable but not a wall charger. Use any standard 5V USB output charger. I gave this headset high remarks for style because it is low profile. Otherwise, this was one of the greatest wastes of $200 that I have experienced in quite a while. Generally when there is something that I want, or feel that I need, I do all the research that I can so as to make an informed decision. I'm not even sure why I felt I needed this in the first place considering I basically have no one to ride with. It was difficult to install, the features are nothing to write home about, and the sound quality for Bluetooth streaming was just awful. I tried to stream some music from my phone sitting at home and what I got was something reminiscent of dying batteries in a cassette player plus crackling. The male vocals all sounded deep like Barry White and the female vocals sounded masculine. On top of the poor audio quality, the commands didn't work most of the time. "Tap twice for radio, hold for two seconds to turn off the radio" the quick-guide said. What happened instead was tap twice for radio and hold for two seconds to scan to the next station. If you must have a Bluetooth headset in your helmet, save your money and shop Sena. I bought 3 pieces a few months ago - just after appearing in the sale of this model in my country. 1. Application for Android - hard to point out what works. Each option does not work as it should, or it will succeed after 10 intercom or smartphone reset. Epic fail. You can not use it. Pairing, speed dialing, music sharing - nothing works OK.
2. Intercom call - it is OK but only if I am using 2 devices. When you get 3 intercoms (every one of them is Freecom 4) they start to have problems themselves. Divert calls between devices, truncate calls when one intercom disconnects (between others). It supports 5 - 6 resets of each intercom. After the connection you hear a loud noise (max. Loudness) followed by squealing, searching and barely understandable callers. 3. The declared range is at least 2x / 3x shorter. 4. Disconnecting calls from phones to bluetooth is standard. 5. Headphones have reversed stereo (!!!). The right channel is left and left is right (you can easily balance). Cardo promised to send other handsets. It did not send but after a month promised to fix this problem with a firmware update. There is no update for 3-4 months. It seems to me that I discovered this problem because the distributor was shocked. Of course, this is true of all three of my intercoms. 6. Using intercom for 2 devices is still bearable. For 3 it is a fun to play with. Equipment is only for return. I do not know why Cardo sells such a shuffle - maybe they promised on some fairs a premiere, but after a few months waiting for the patch I have enough. I exchanged with their support 12 emails and I have not received even one solution to a single problem except promising to update. I do not recommend Cardo Freecom4. Under Features, the following is listed "Cardo Smartset app compatible with iOS and Android". The Smartset app works with Android but not with IOS. I've had this unit since early Feb of this year and have called Cardo repeatedly receiving the same line of bull that the IOS Smartset app would be out in a week or two. The sound quality on my headset is good in my opinion. Intercom function is ok but requres a reset now and then. All in all, Cardo has almost made a decent headset, too bad their customer service hands out BS instead of solutions. Cardo Freecom 4 manual, product packaging, Cardo web site and Cardo advertising all say the SmartSet app works on iPhones with the Freecom. It doesn't. Contacted Cardo about this and they acknowledge the product doesn't work but continue to say it does as noted above. Cardo says they have no firm date for providing a solution. When Freecom is connected to the Cardo Community web site for updates the web site crashes. Smart App does not work with freecom 1-4 , I've called Cardo and with no apologizes they don't know when update or new app will be available. Shame, It would be a great device if or when smart app works. 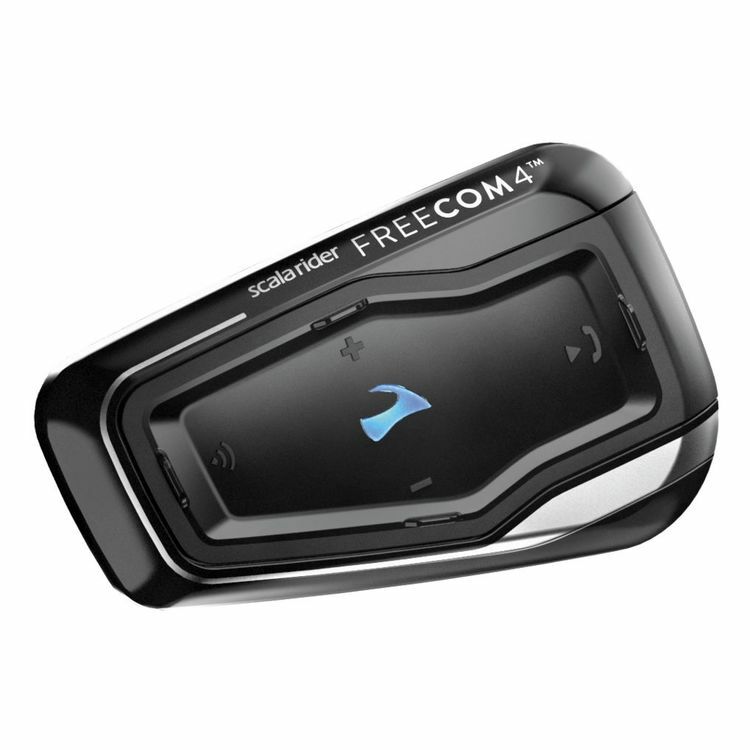 Freecom 4 function , Phone features include make/receive,wireless music streaming are the only function that work easy without Smart App. Will it have DMC and can I use my own headphones ? Can you talk with intercom and listen to music at same time? Is this system mountable in a modular helmet? I'm concerned with mic placement.